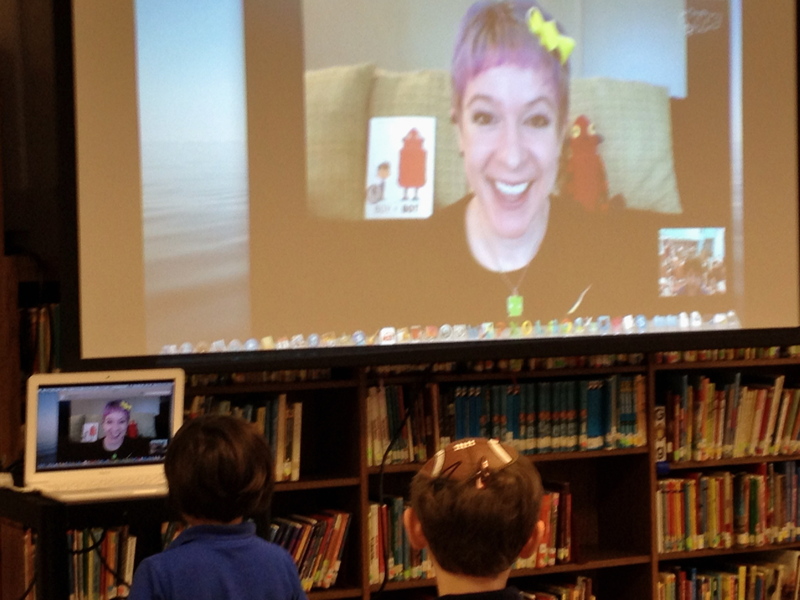 My first graders and I had our very first author Skype visit! Now we are hooked! We had the great pleasure to visit with children’s book author Ame Dyckman, who published her first book last year, Boy + Bot. A second book is scheduled to come out this year, and she is already working on her third publication. 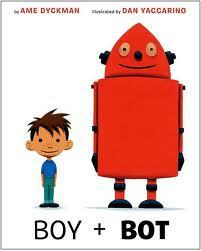 Boy + Bot is a simple story about friendship and differences. Many of the beautiful illustrations are wordless, but brought to life by Dan Yaccarino’s art. Ame gave freely of her time, a generous 30 minutes, visiting with us in Florida from her living room in New Jersey. To prep the students for our visit, I showed them the book trailer and then read the story. The students quickly articulated the theme: Friendship and being different. Several students listed how their friends are different from them, but are still great friends. Then we brainstormed possible questions to ask Ame. Our curious students generated a long list, ranging from “What was your inspiration?” to “How long did it take you to write the book?” to “How do you publish a book?” to “Where do you live?” to “How many pets do you have?” and “What is your favorite sport?” Each student then chose a question and wrote it on a piece of paper. To avoid duplication, we went around the room and replaced those questions that were repetitive. 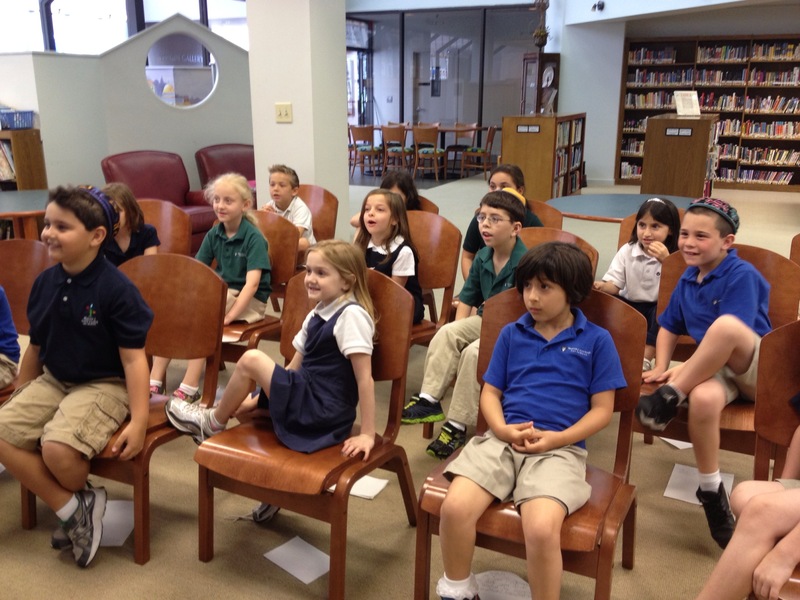 During the Skype visit, two of our students introduced the class and then each student asked their question. Ame was so engaging and entertaining, generating more and more questions and comments! If we hadn’t kept her for 30 minutes already, our students would have gladly visited with her some more. One student asked Ame to read a story and much to everyone’s delight, she read Bark, George by Jules Feiffer, one of her favorites. 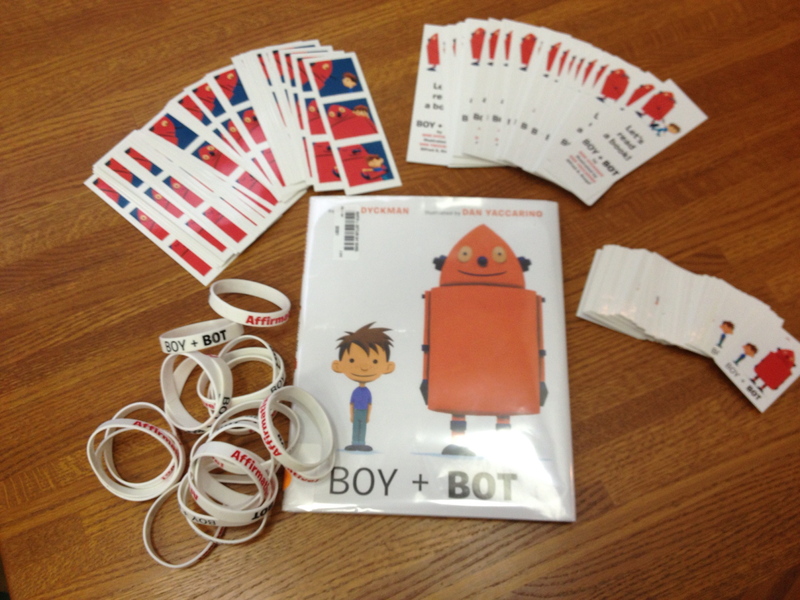 To top it all off, Ame had sent a package with Boy + Bot bookmarks, stickers, and bracelets — enough for each student in the class and extra for the library. 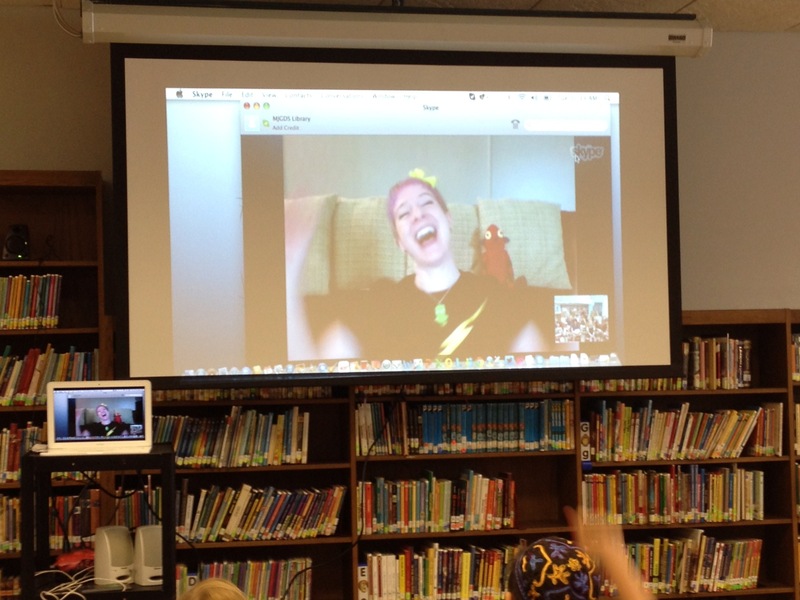 My take-away: Skyping with Ame Dyckman was a perfect introduction to virtual visits with authors. Students were engaged and inspired. This was an authentic event, telling students that authors are indeed real people who work hard at their craft to produce beautiful stories.